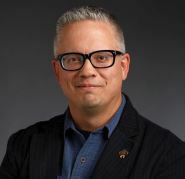 Republican Texas elector Christopher Suprun, who is garnering media attention for his decision to not vote for Donald Trump when electors meet on December 19, was singing a different tune when he contacted me a month ago seeking Accuracy in Media’s assistance in getting the media to correct what he said was false reporting on who he planned to vote for. Thank you for your time on the telephone a short while ago. As I noted I am the Republican Elector for Texas’ 30th Congressional District. Multiple reports have come out based on an interview I did with Politico in August stating I am considering voting for or considering voting for Hillary Clinton. They are false. I did not speak to Ms. Italiano, but told a colleague last night the article was factually false. They published anyway. I never spoke to Ms. Edwards prior to publish. I informed both her and her editor, Mr. Beckwith, the article was false. No retraction, no correction. The worst part of this is the original Politico writer has done this before. Kyle Cheney did the same thing to Ben Carson fabricating part of an article in November of last year. This is appropriate contact information for me at this email. I am willing to do media nearly immediately to say this story is wrong and is not only click bait, but it is dangerous. I am now getting tweets expecting me to vote for Secretary Clinton and there will be disbelief when I do not. The media is trying to tarnish the Electoral College I think by creating a false illusion there is a chance Trump can still be defeated. This is false and creates a false hope for something that should be over. They are in essence saying Mr. Trump will have no honeymoon period. Just a few days after receiving the email, The New York Post did correct their earlier story. And when Suprun contacted me to get an update I told him that since the Post had made a correction we would not be acting on his original complaint. I thought that was the end of the story until I saw an op-ed by Suprun in The New York Times on December 5 outlining why he will not vote for Trump. Why did Suprun change his tune? Maybe it has something to do with the fact that he and some other Republican electors are being represented by “social media justice” firm Megaphone Strategies, which was founded by former Obama Green Jobs Czar Van Jones. “Megaphone Strategies is a new social justice media strategy firm run for purpose, not profit. We offer cutting edge strategy, training, and media relations services to high-impact social justice organizations and individuals. Our mission is to use PR as a tool to diversify progressive movements—lifting up diverse progressive leadership in the media—and to provide services based on ability to change the world, not ability to pay. The chances are extremely slim that the outcome of the election will change on December 19, but at least Suprun got his 15 minutes of fame, which seems to have been his goal from the start.